Two leading French lawyers have filed a complaint with the UN Committee against torture (CAT) to order France to bring back children from camps in northeast Syria. Five orphaned children of French jihadists were flown back to France last Friday. Lawyers Marie Dosé and Henri Leclerc filed the complaint on Friday on behalf of five French families whose grandchildren, nieces and nephews are currently in the Al-Hol camp in the Kurdish-controlled northeastern part of Syria. Most of the 10 children are under the age of six. “It's urgent, they're exposed to cold and hunger and to life-threatening diseases,” Dosé told RFI, citing tuberculosis, dysentry and cholera. Over the last three months, she says dozens of children have died in and around the Roj and Al-Hol camps. The situation in Al-Hol camp where most of the French children are, is dire. “Four children died last week, three were burned alive because their tent caught fire when the gas bottle used to heat the tent exploded. One child died of pneumonia,” she explains. Dosé represents the families of 50 French children and estimates there are between 80 and 100 in the camps. She says France is in breach of the UN's International convention against torture, which it has signed. This is the second complaint Dosé has registered with the UN; two weeks ago she addressed the UN's International committee of children's rights concerning some 40 French children held in the camps. The Committee for children's rights has already asked France to react to the first complaint. 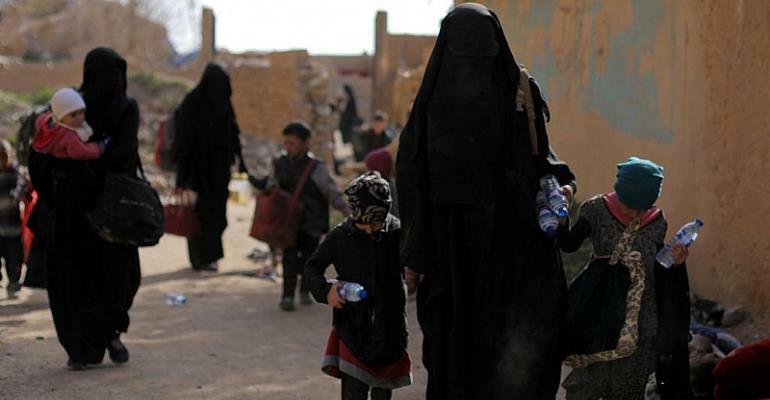 On Friday the French government said it had repatriated five orphans from northeast Syria whose mothers are dead and fathers are either dead or missing. The children, aged five or under, have been placed under medical supervision. Three brothers are expected to live with their grandmother who has spent more than three years trying to get them to France. It's the first time in the five-year conflict that France has brought any children home from Syria; officials having previously argued that most mothers had refused offers to let their children be taken home and placed with relatives. Last Wednesday President Emmanuel Macron said his government was taking a “humanitarian” case by case approach to the children, but reiterated that the government's position on “adult fighters and jihadists who followed IS to the Middle East had not changed”. "They must be tried in the place they committed their crimes," he said. Case by case selection is "shocking discrimination"
Dosé denounces the government's cherry-picking of children on a case by case basis. "It's even worse to say we'll take your five children because you're orphaned but because your mother is still alive you'll be left to die in a camp.That kind of discrimination is particularly shocking." She and Leclerc argue that all the French children must be brought back to France and that last Friday's mission, organised in 48 hours, shows that that is possible. What remains is for President Emmanuel Macron to show political will. And that has wavered over the last few months. In January, shortly after the US announced it planned to pull its troops out of Syria, the official French government line was that French jihadists could return home with their families. And in early February, France made the decision to repatriate 70 children and 60 adults. France announced that no mothers would be allowed to return with their children: a hardline position shared by the UK. Dosé believes the publication of an opinion poll in March showing that two out of three French people were opposed to djihadist families coming back here sent the government running scared. But she is convinced the public is ill-informed. “For the last three years French people have been told that their children are ticking timebombs. It's not true. 70 percent of them are under the age of six, and it's because they're left over there, abandoned, that they're turning into ticking timebombs." Picked up and groomed by whatever remains of the Islamic State armed group, Dosé says they risk being transformed into child soldiers, radicalised by the idea France has "abandoned them to their fate". Dosé is from Lorraine in eastern France and explained how, in 1945, French people in Lorraine adopted 50 Nazi children from orphanages in Germany. An online petition she and Leclerc launched last week in favour of repatriating children of French jihadi brides has been signed by more than 4,500 people so far.